Valentine's Day Dollar Deal! - Fern Smith's Classroom Ideas! 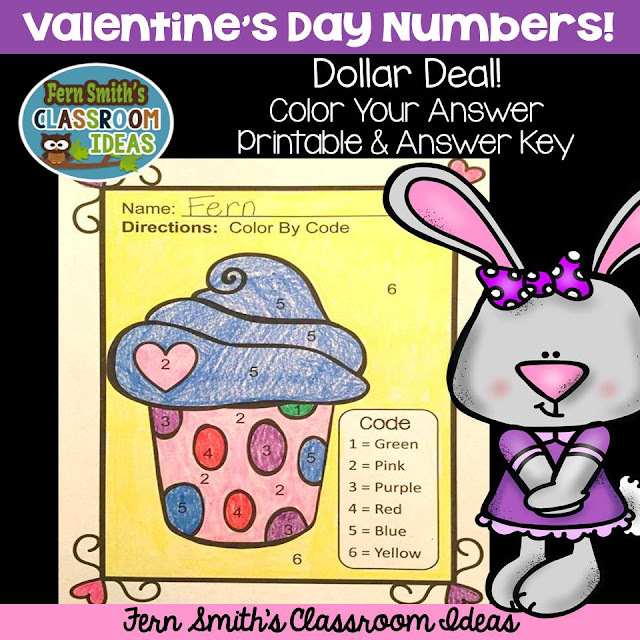 Valentine's Day Numbers - Color Your Answers Printables for Valentine's Day Math Lesson on Numbers, perfect for St. Valentine's Day time in your classroom. ONE Valentines Numbers printable and ONE Valentines Numbers answer key with a cute Valentine's Math theme!